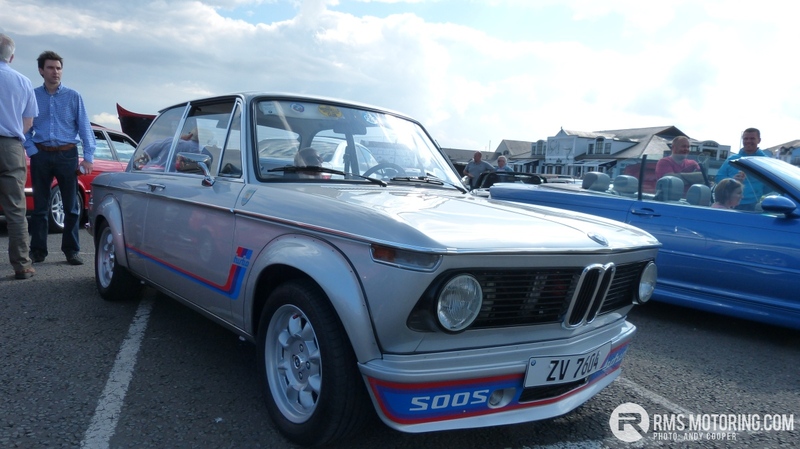 Upwards of 100 of the best examples of the German marque descended on Carrickfergus for the annual NI BMW show in front of the Castle. I myself am quite at home with M cars and enthusiasts of the roundel, and even entered my own car to the event, which was raising money for children’s charity, Isla’s Rainbow of Hope. The superb weather on the day ensured no excuses, and we were treated to some rare classics including an immaculate 2002 tii Turbo (pictured above) and some stunning early M cars such as this E30 Evo below. RMS members were out in force with a variety of M cars ranging from Neil_M’s Estoril blue E36 M3 Saloon to Melvyn’s M4 with a mere 600 miles on the clock. Ford owners also joined in with some small stands on the periphery. I especially enjoyed a nosey around the concurs Mk 1 Fiesta XR2 in orange and the three door Sierra Cosworth! With trade stands, food on site and a friendly relaxed atmosphere it was a great way to spend an afternoon, and by the end of the event £1225.32 was raised for the chosen charity. Looked a good turnout and the weather is great as well. Took the wee one down, her favourite BMW was a green focus rs..... @Mark King 's I believe. My favourite was the 2002 turbo. Great car. @Boabybooster I ended up infront of him on the way down the road, such a class car and looked so evil in the rear view mirror! Great turnout today, was my first time at this. The 2002 turbo was awesome. | Great turnout today, was my first time at this. The 2002 turbo was awesome.